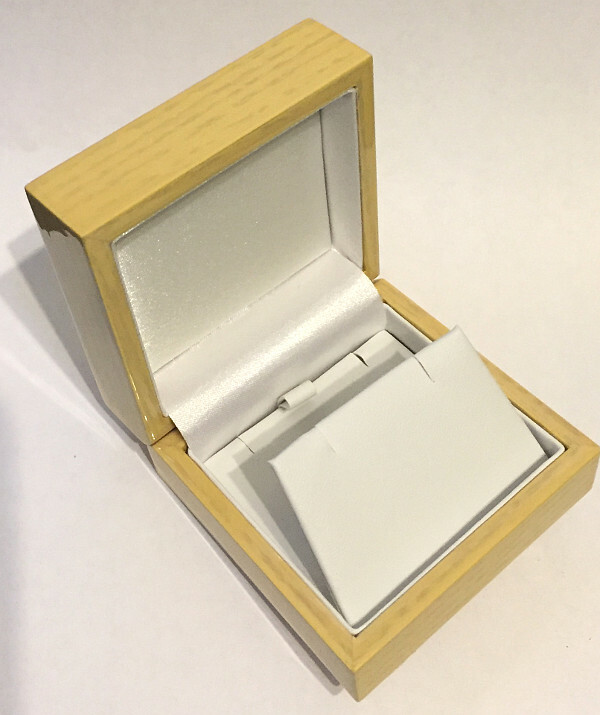 Light wooden Pendant or Necklace/Chain Gift Display Box with a lacquered finish. Dimensions approx. 74mm x 74mm x 37mm height.